Well, unlike what the term ‘Link baiting’ sounds, this act isn’t always a bad evil deed. Link baiting can be done in a legit white-hat manner as well; and when done so, it reaps greatly desirable results in terms of increased traffic, elevated reach, pouring inbound links, and more such. Most perceive link baiting as a tactful way to bamboozle people into sharing your posts and thus bagging all the benefits mentioned above. If you are one with this misconnection, I guess the below Matt Cutts video would just suffice to demystify the concept of link baiting for you. Why Are Link Baits Sooooo Necessary? Topping The SERP – Google, or for that matter, most search engines consider webpages that are shared around to be of importance and hence rank them at a better position. If you manage to a craft out content that is linked to from various other webpages (in order to share it), you score better in off-page SEO, a vital determinant of your SERP ranking. Converting Incoming Traffic – Due to the viral nature of successful link baits, you inevitably see a surge of traffic, which can be cleverly converted. As we know it – More the inbound traffic, better the conversions. It all boils down to how viral your link bait goes and how well you use your call to actions. Higher Unique Visitors – Since link baits go viral form one reader to another, you enjoy a good number of unique visitors. New visitors imply new leads which can be funneled to your advantage. Besides, increased brand visibility and social boost come along. I guess the need of widening your reach and audience needs no explanation. Building An E-mail List – Certain kinds of link baits, for instance, link baits like series posts, lists, etc., have a good impact on your blog’s newsletter subscription if the posts are written tactfully with apt placement of call to action or subscription request. Boost In Authority – Link bait posts are usually of high quality, thus attracting more inbound links. The prime criteria for building an authority blog/site in your niche is to give away great quality and usable information. Link baits help you do just that. For a post to be linked, it must be something unique and outstanding. It all depends on how creative your post gets. I have mentioned some widely successful forms of link baits below. These types of link baits have been very lucrative and pan out well for both new and established blogs. This sort of posts spread like wildfire, especially if the refute is against a widely accepted concept or a big wig. And if it is backed by solid and reliable data, there is no looking back then. These posts also shoot up reader’s stickiness and engagement (through comments) with your blog. Such posts often end up being highly controversial and which controversy fails to turn heads? One such recent super hit post was from Glen Alsopp of Viper Chill that raised question on one of the ranking factors of Google. These kinds of posts are a reader’s favorites as they seldom make their research work lot easier. Readers take no time to bookmark these posts and get back to the post every now and then. Thus, having niche specific helpful resource lists get you returning traffic (in other words – loyal traffic), who can be your future hot leads. 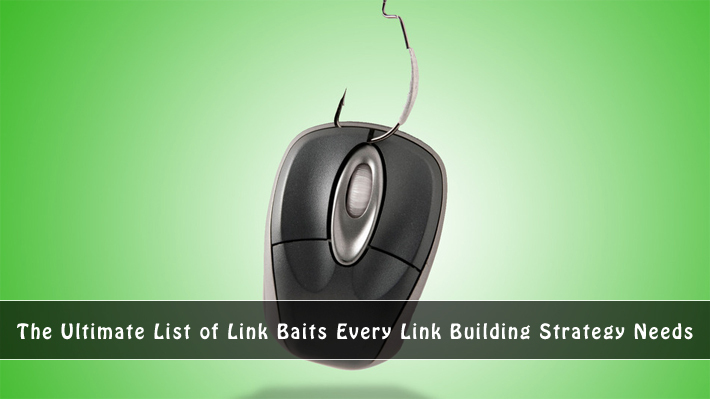 These link baits also convey to the readers that you have good knowledge of the subject and hence be perceived as an expert (another trait of an authority blogger). Also, since these lists prove very handy, people of similar niche tend to share it with peers being you fresh followers. The Next Web has crafted one such incredibly useful resource list for web designers. Niche series posts could be any step by step niche specific tutorial that helps your readers learn something. These kinds of posts are now being replaced by a long single post that tries to give all the details in one shot. Though the single post version can help in the post’s SERP ranking; not all readers appreciate it (in most cases). Not many like to learn everything at once. Rather, they prefer a breakdown of a huge tutorial. Plus, with a series, there is a better chance of building subscribers base, as the people who find the initial posts interesting and useful would love to stay updated of the next one. One such noteworthy series is the 31 days to a better photo from Darcy of My3boybarians. You can stir up a friendly public challenge with your niche’s counterparts. This way, you not only learn and accomplish something (as part of the challenge) but also grab a share of your opponent’s audience as the challenge would be featured in all of the participant’s blogs; while the backlinks that you’d be getting from each blog is an obvious perk. The same is with collab blog posts. Followers of all the collaborating bloggers would never miss such things. So you get to welcome new audience (and links from them) with every such post. The Niche site Dual challenge from Smart Passive Income, and The new products I’m loving at Buying Cruelty-Free make great examples. People love to get imbued with tear jerking or inspiring personal stories and experiences. If the story turns out to be pleasing enough they don’t mind citing it in their blogs or social profiles and link to you. These posts too, get you a good dose of links if written well. Many successful bloggers tend to show their career’s story with their income reports. Some others try bringing into light a neglected social plight. The more the story relates to your readers, better the link bait it is going to be. Skype’s blog recently featured the heart touching story of a brain tumor hit parent Larry, who could witness the wedding ceremony of his beloved child over Skype. Thus, having his final wish fulfilled. 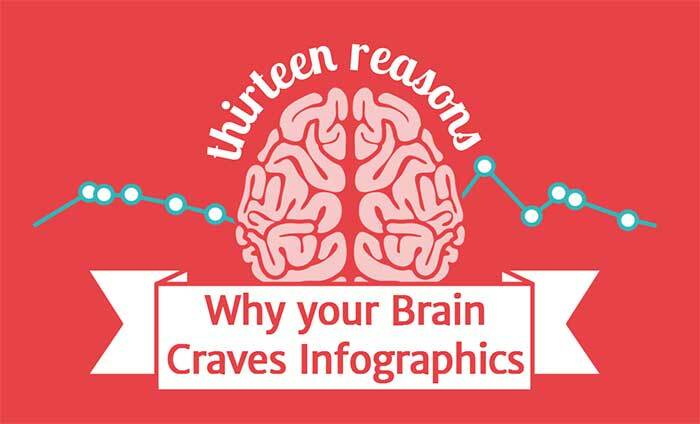 Infographics are loved by visual learners. I’m sure that we all unanimously accept that in this age of information outburst, we tend to rely more on graphical representation of data. Creating infographics isn’t all hard if you’ve got a pleasing idea in mind. It only takes you to ping your niche bloggers and let them know that you have an infographic on a topic they blog about. Most bloggers don’t refuse featuring your new infographic (with a link to you) as they want to serve variety of content to their readership. Checkout this amazing HTML 5 infographic that depicts the science behind us liking infographics. If you can manage to research and capture valuable statistics about something pertaining to your niche, you sure are going to attract many links. Most of the sites that link to the data you present, link because they want to substantiate an argument with reliable data. 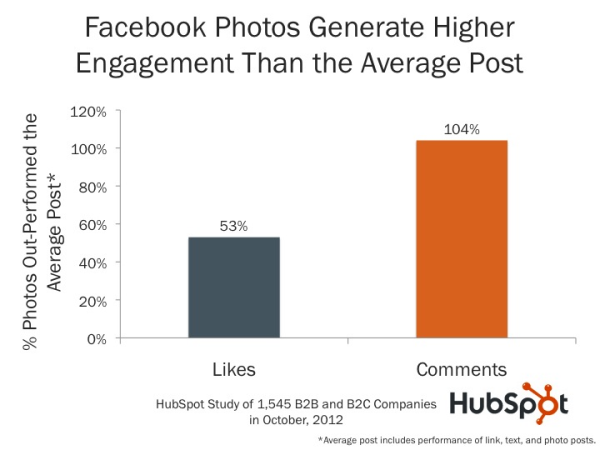 Hubspot released the findings of a study which tell that visual content generate 53% more likes on Facebook. Would this data not make a good reference for writers/bloggers who are writing on topics like importance of visual info or Facebook marketing and its likes? Besides these link baits, there are other types of posts that have been used as baits traditionally and are still quite fruitful. The list includes things like guest posts, viral videos, freebies and giveaways, contests, etc. But you can never simply settle on what has been used redundantly. Try coming up with something unique to win the race; something like the one Matt mentioned in the above video. For me videos work best. They get more visitors plus bounce rate is less, especially if there is minimal content when I publish the video. Thanks for reading Latha! I absolutely agree with you that videos are best in reducing bounce rates. Visuals are always more appealing rather than content & when it’s in the form of video it works great. Great info, really. “In general, webmasters can improve the rank of their sites by creating high-quality sites that users will want to use and share.” Sounds great, hopefully this is what is going to become more and more important – High-quality. Thanks Alexander! Glad you found it useful. Creating high-quality content was always important and moreover after Google Panda Update it became more clear to care for the people nor for the search engines. I know in the past when someone said link bait that was like a dirty word. I think that’s because it was abused so much and thought of eventually as black hat tactics only. Matt’s video is a perfect example of great ways to come up with how to share links to get more attention to a post and it be in a very positive way instead of the opposite. I know that a lot of the topics you shared here as examples do work very well. I’ve done a few posts when I was praising another blogger, several in a post and that got a lot of attention. I haven’t really tried other methods but I love the examples you gave us here and the links as well so thank you. Great share and hope you’re enjoying your week. I absolutely agree with you, Matt’s video (from back in 2009) really showed us the way on whitehat linkbait & honestly I got the top idea from that video. Great writing man. Infographic, can’t deny about it. Pretty much everybody been banking luck on that! Very through post and thanks for sharing! It’s true that everyone is going with infographic which brings out more link spams in Google’s eyes. Using the same anchor text everywhere basically grabbing the embed code at the bottom of the infograpihc. But still it’s one of the best link building techniques.